Now in its fifth season, viewers seemingly can’t get enough of ABC’s Shark Tank. It’s half drama, half business lesson and provides a taste of the fast pace, do-or-die entrepreneurial lifestyle. While it’s certainly a Hollywood look at business pitches and ideas, it yields some interesting and valuable lessons for business owners and aspiring entrepreneurs. Next time you’re tuned in, keep an eye out for the following lessons and more. 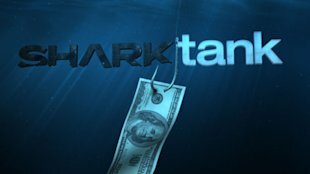 From the first 15 seconds of a pitch on Shark Tank, viewers have a pretty good idea of whether or not there will be any interest from the Sharks. Even when no financials or other pertinent details have surfaced, much is said through how the entrepreneur carries him or herself. A monotonous, poorly scripted pitch sets aspiring entrepreneurs behind and necessitates a recovery at some point. An energetic, well-developed pitch positions them ahead and intrigues investors from the get-go. One of the biggest mistakes entrepreneurs make on Shark Tank is going back on their original asking price. Time after time, an entrepreneur will get the exact offer he or she asked for but then hesitate on the deal. The greed of the moment causes them to attempt to squeeze out a few more dollars. Never go back on your word if you want to be honest and gain respect. If you do, one day it will come back to bite you. Being an entrepreneur is all about risk and reward. To get the latter, you need a healthy dose of the former. Many entrepreneurs have a great idea – and one that works well – but fail to attract investors because they still have another full-time job. The Sharks often turn down entrepreneurs because their focus isn’t 100% on their idea. While you have to do what’s best for your family and personal situation, understand that investors appreciate and respect someone who is all in. Another characteristic the Sharks like to see is a strong core team; key word being team. While solo teams do work, there are advantages to a strong, cohesive team with complementary skillsets. Investors typically prefer this for a number of reasons, including an ability to take on more responsibility and increased flexibility. There is one sure-fire way to destroy a pitch and scare off investors: not knowing your business inside and out. If potential investors ask for a statistic, financial figure, product specification, or key insight, you must have an answer. If you don’t, you have to be quick on your feet to figure it out or point to another fact that addresses the issue. Sharks and investors are not keen on entrepreneurs who don’t know 100% of the facts regarding their business. When going into a pitch or proposal situation, it’s important to have a bottom line for negotiations. In Shark Tank, entrepreneurs rarely get exactly what they ask for. There are usually negotiations – which are typically lower than the original asking price. With that truth in mind, it’s important to set an absolute bottom line that you will not cross. This ensures you won’t be swayed by the heat of the moment. Simply put: you must master the art of the pitch. Unless you’re self-sufficient and can fund your own ventures, you will need to ask for resources at some point. Whether you’re asking your brother or a venture capitalist, a good pitch is needed. It should be simple, comprehensive, and enticing. Next time you’re watching Shark Tank, spend time grading each pitch. What are they good at? What do they lack? Consider giving them a grade for each of the factors above – simple, comprehensive, and enticing – to learn more about mastering the art of the pitch. Lesson #8: Is Your Product Proprietary? You’ll hear the word ‘proprietary’ thrown around a lot on Shark Tank. That’s because investors are interested in something that is both unique and promising. When pitching your idea, make sure you provide concrete details about some proprietary feature of your product and what sets it apart from the competition. Investors love entrepreneurs who think long-term. You should have a 6-month, 1-year, and 5-year plan for your product or idea. This proves you are looking beyond the short-term and well into the future. Long-term thinkers are not blinded by small issues in the present because they know where they are going and how to get there. The Sharks love a plan and usually have more confidence in someone who has their eyes on the future. It can be scary to give up equity in your business, but don’t let it keep you from taking on investors. If the investor has the right skillset or experience, it can be worth the tradeoff. Equity is certainly valuable, but so is having a mentor. Don’t be afraid of giving up equity to the right individual – especially when it’s one of the Sharks. Entrepreneurs are required to give up either 5% equity or 2% of future profits to the producers – just for being on the show. If you pay attention, you will notice that Kevin O’Leary sets the pace for each segment. He has an earpiece that the producers use to prod him to ask questions or set up commercial breaks. According to reports, as much as 40-50% of segments don’t make it to the final broadcast cut. According to one source, season 3 shot 82 segments, but only aired 52. While the show is certainly a Hollywood version of real life, it also provides viewers with valuable business lessons. Next time you watch, focus on what you can take away. If you look close enough, you may just learn something! What’s the biggest lesson you’ve learned from watching Shark Tank? Top 5 Ways to Motivate Your Employees. It’s Easier Than You Think.